Submitted by Xela Everhs (not verified) on Dec. 9, 2016. Found your article/review while searching for a compact PA system. The Turbosounds intrigued me greatly. I am now really considering the iP2000 Array system. Have any thoughts on that particular series? Thanks. Submitted by Jason Horton on Dec. 9, 2016. 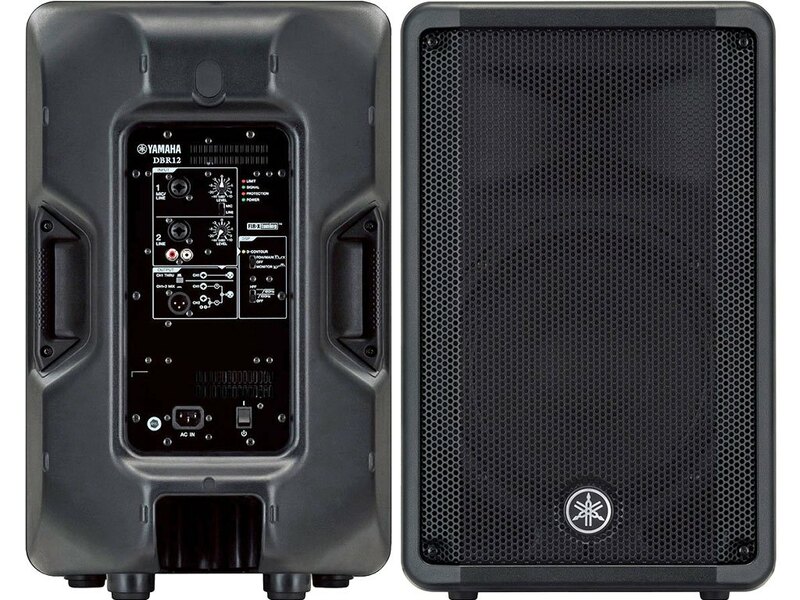 Hi Xela - we haven't rated the Turbosound iNSPIRE iP2000 yet but the category of compact PA systems is on the list of topics we're considering covering so thanks for letting us know about your interest. Sorry did a typo, it's the TurboSound IQ8/IQ10/IQ12/IQ15 powered speakers that I'm interested in. No problem - I wanted to process the Gearank scores for both the iQ and iX series so you got them both anyway! 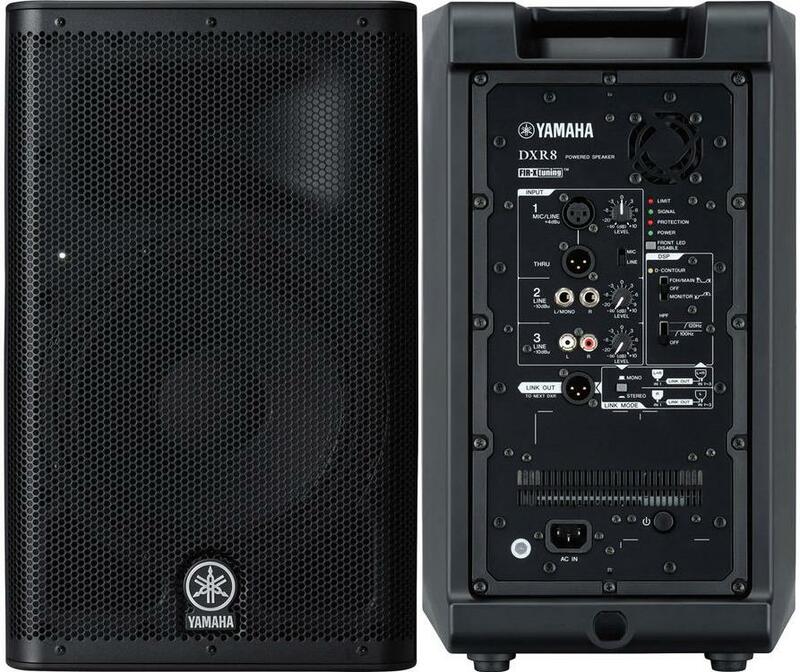 Hi, how about yamaha dxr12? Submitted by EP (not verified) on Aug. 7, 2016. Submitted by Jason Horton on Aug. 8, 2016. Hi EP - thanks for asking about them because we did examine the DXR range and included the 15" version in the guide above, but it appears we forgot to add the rest of them to our public database. I've just added them and updated their Gearank scores. The 8" version still isn't as popular or as highly rated as the others, but both the 10" and 12" versions have increased their Gearank scores to 95. 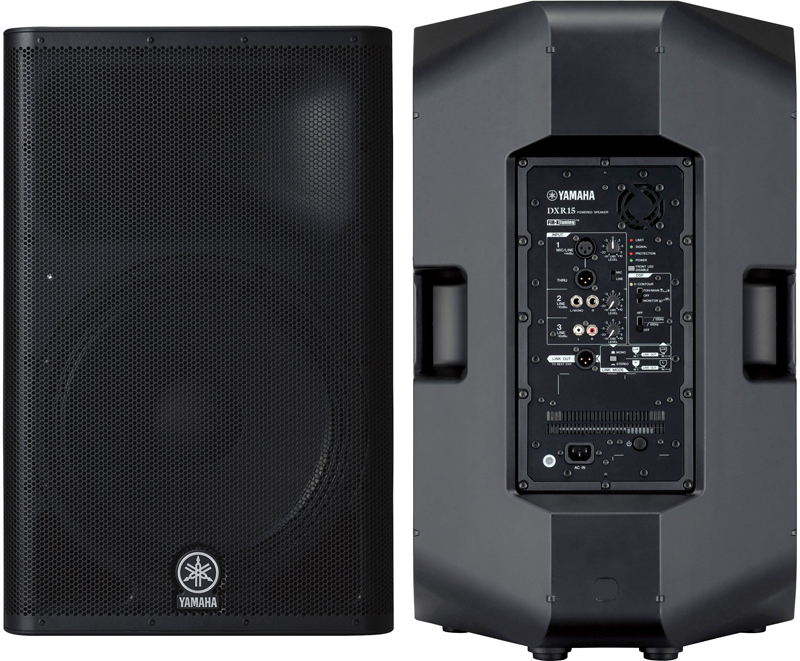 You can now see the full Yamaha DXR range here in our Music Gear Database. Submitted by Ryan (not verified) on Aug. 9, 2016. While the guide was looking good, and having used many of the speakers here especially the QSC's with awesome results. The inclusion of Bose here destroyed your credibility. 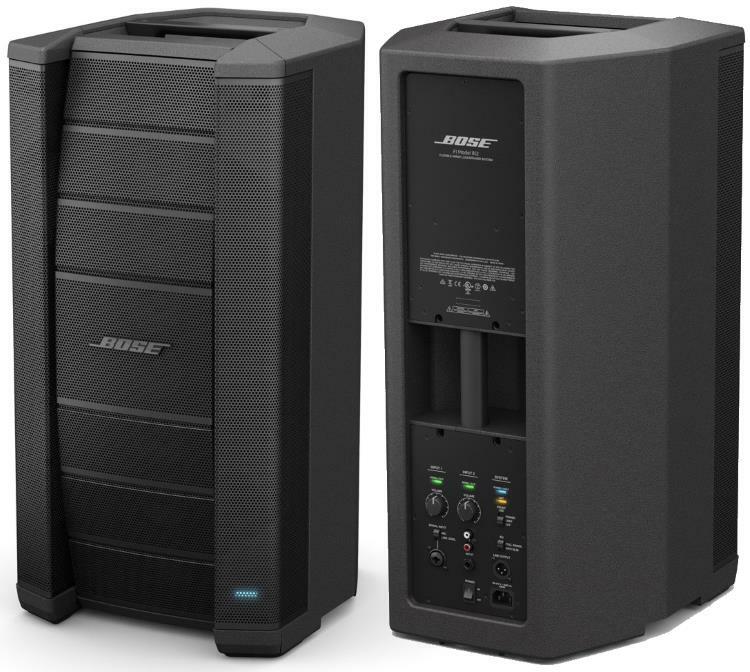 Most of us in pro audio know that Bose is a marketing company that makes lousy speakers, and decent headphones and clock radios. This is another prime example of their bogus "Better sound through research" marketing. The point of line arrays is that they cut the inverse square law of signal decay as you move away from the speaker in half truly "Throwing farther". However the requirement for that to work is the length of the array. In an array that in this case is 26" long is going to have the 1/2 inverse square law decay rate from about 512Hz to 20KHz, but a full inverse square law decay rate from 512Hz down to the low cutoff of the woofer. So what does that mean? If you EQ the speaker in one spot to sound good, but as you move closer everything from 512Hz and lower will increase at a rate of 1/2 inverse square. And inversely as you move farther away everything below 512Hz will decrease at 1/2 of the inverse square law. Now you have an arc where at one distance away from the speaker it sounds right. If you have two speakers, now there is only one place where it sounds good, and the only person that gets to enjoy it is the soundboard operator. Why do you think "real" line arrays are so long? Even with that length, we still have that problem with our largest touring arrays. Submitted by Jason Horton on Aug. 9, 2016. Thank you for your detailed comments on line arrays Ryan. We don't see our role here at Gearank.com as being a participant in the debates over which technological approaches are superior to others, but we are happy for people like yourself to carry on that debate. We do however try to make our guides as useful as possible by covering all the prominent technologies and brands that are currently in use. The ratings we provide are a measure of user satisfaction, or to put it another way, they are a statistical analysis of market sentiment. The Bose F1 system continues to get very positive reviews from customers - in fact I just reprocessed their Gearank score and it went up from 92 to 94 as a result of the latest customer feedback. For a better understanding of this process please read How Gearank Works. Disclosure: Although Bose is not currently a sponsor Gearank.com they have been an advertiser and sponsor over the last decade of GuitarSite.com which is owned by Gearank.com's parent company Hitsquad Pty Ltd. Submitted by Scott Hausrath (not verified) on Aug. 10, 2016. I'm sure you've heard about Carvin, in the San Diego area. What do you guys think of their loudspeakers, in terms of quality, performance, and value? Submitted by Alexander Briones on Aug. 11, 2016. Thanks for bringing up Carvin. I have personal experience with some of their gear, including PA Speakers, and in my opinion, both the sound and build quality are really good. However, Carvin speakers aren't widely available online (they're mostly only available through their own store) and don't have a lot of independent review sources, so even though I personally like their products there isn't sufficient data for us to provide a rating at this time. Submitted by Scott Hausrath (not verified) on Aug. 12, 2016. THANKs for taking the time to respond to me, Alexander! Submitted by sulaiman (not verified) on Aug. 22, 2016. Submitted by John B (not verified) on Sep. 2, 2016. 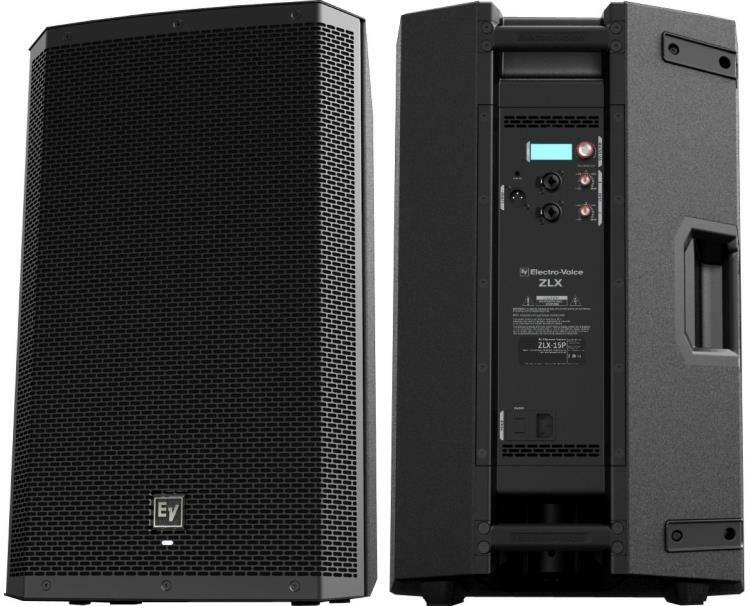 Great review here but, I question the thoughts on SPL levels for the EV ZLX series. While claiming the speakers are not loud, the experience with using these as mains, have totally left us speechless on how well the ZLX have performed. Plenty of sound, plenty of volume. Realizing they are not ELX or ETX, they still hold their own in this price range as the best affordable speaker. Submitted by garth (not verified) on Sep. 2, 2016. 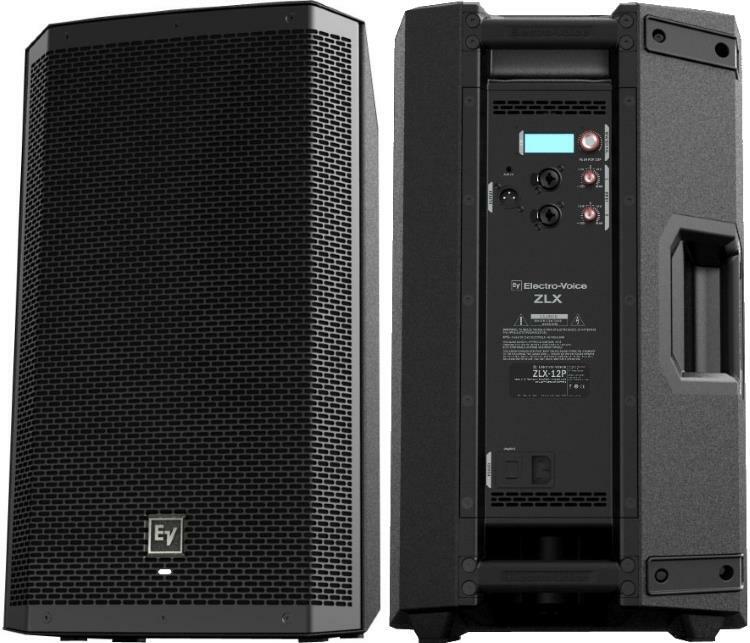 Have you guys reviewed the FBT range of active speakers? They seem to be getting some attention. Submitted by Jason Horton on Sep. 2, 2016. FBT weren't included when we produced this guide because they weren't widely available from major online music gear retailers in the USA. We'll check to see if that has changed when we next update this guide. Submitted by chris runnels (not verified) on Oct. 3, 2016. 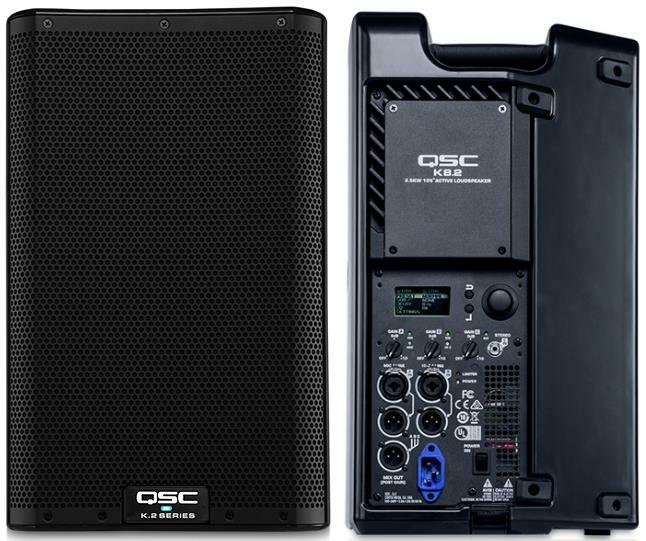 If you cant hear the difference between a QSC K10 and ANY new JBL go back to guitar center and buy whatever the guitar player working in the "pa" department tells you to buy. Submitted by JESS (not verified) on Oct. 13, 2016. 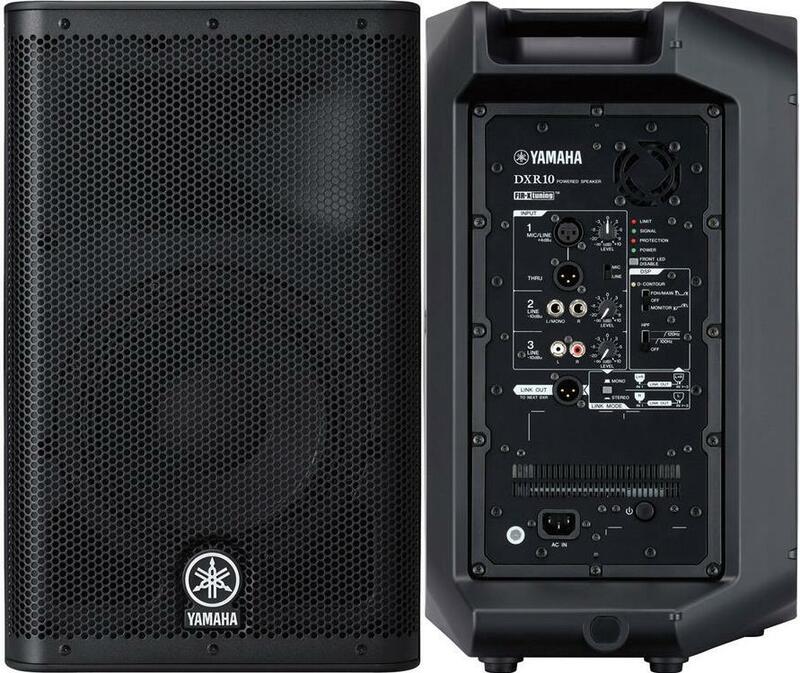 Can you recommend to me the best powered speakers below $1000 for my MX61 Yamaha Keyboard. In terms of clarity of sounds specially the "bass" part of the keyboard. I came across this demo on youtube and I like the sound of the grand piano, I want to know what kind of speakers they are using. Thanks for your help. Submitted by Alexander Briones on Oct. 13, 2016. All the powered speakers listed here should be able to give you the clarity that you're looking for, as long as you keep the volume to a reasonable level. Go for 12" or even 15" speakers if you want deeper bass sounds. If you can post a link to the youtube video demo that you liked, maybe we can help in figuring out the gear used. Submitted by Dynes (not verified) on Oct. 13, 2016. The Alto Professional Speakers are the best. This list is wrong! We've processed three powered speakers from Alto Professional's lineup and they're not yet rated high enough to be included, compared to the ones listed. Submitted by Richard (not verified) on Oct. 13, 2016. I cannot believe there are no RCF's in this list? Quite extraordinary! Submitted by Andy (not verified) on Oct. 13, 2016. Submitted by Steve R (not verified) on Nov. 1, 2016. Submitted by Jason Horton on Nov. 2, 2016. Here at Gearank.com we don't do head-to-head comparisons, we primarily do guides to an overall category. However, if anyone wants to provide their thoughts on Bose F1 vs EVOX 12 here in the comments, they are certainly welcome to. Submitted by Erik8a (not verified) on Nov. 28, 2016. 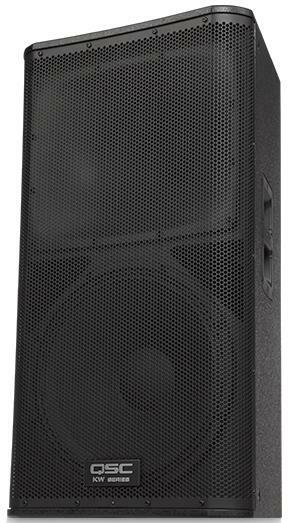 Is there a Gearank comparison of 3 way powered pa speakers? If there is not you guys should do one, thanks. Submitted by Jason Horton on Nov. 29, 2016. We don't have one yet, but we are currently revising our publishing schedule and I'll add that to the list of topics to consider. Submitted by Henrik Hakansson (not verified) on Dec. 22, 2016. You should be advised to include some of the concentric speaker enclosures out there, as powered speakers. Don't know if they'll fit in that range. RCF may be out of bounce, but there are others more affordable. I wished that Tannoy would release a full live PA powered speaker system. Germans DB may be price worthy though, you don't need super expensive T&W and the like. Submitted by Djimbe (not verified) on Dec. 23, 2016. Wow no love for the Alto Blacks OR TrueSounds? both of those series rank up there with QSCs ang EVs and mop the floor with JBL. I did a H2H in store with 5 jazz musicians with total over 175 years playing experience and they were hands down the winner playing anything with real instruments in it... ESPECIALLY in price/performance comparison! Submitted by Jason Horton on Dec. 26, 2016. If you would like the results of your Head to Head comparison to be included in the data set we use when we next update this guide, then write a report/review detailing your results on one of the popular music gear review sites or forums. To get an understanding of our methods please read How Gearank Works. Submitted by Paul (not verified) on Jan. 1, 2017. JBL SRX & FBT speakers will blow most of this tip 10 list out of water for Power & bottom end . Try before you buy. Submitted by Ike (not verified) on Feb. 20, 2017. Has to be sponsored by qsc or something, because the jbl prx are a great speaker, I have been abusing the heck out of some eon g2s for over 10 years! 2 gigs a week, never flinched, never had to repair, all original drivers, that says something, just get protective bags, whichever speaker you decide on. Submitted by Jason Horton on Feb. 20, 2017. As has been pointed out previously in this discussion, no manufacturers, including QSC, have paid any money or provided any benefit of any kind to us for anything we have done on Gearank.com. In fact last year we removed all banner and display advertising (we were using AdSense) from this website. That means there is no possibility of us receiving money even indirectly from those companies via Google/AdSense. At the current time our only source of revenue is from the retailers we link to - at the moment that includes Sweetwater and Amazon. All of our product recommendations are guided by a scientific process involving statistical analysis of market sentiment using our proprietary Gearank Algorithm. An overview of this is explained in How Gearank Works. Submitted by Burton Brown (not verified) on Feb. 22, 2017. 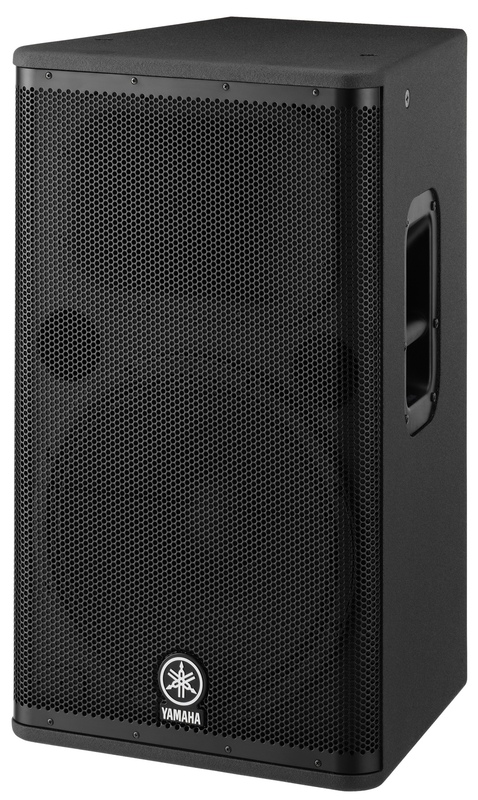 Alto TS215 Active 15" Speaker VS.
Hi - I'm looking for an upgrade from my Alto TX15 range to either of the above without breaking the bank tooo much. Can you possibly give me a rating and a recommendation if at all possible? Submitted by Jason Horton on Feb. 22, 2017. We have provided a rating for the Alto Professional TS215, however we have not rated the Studiomaster Drive 15A/6A because it doesn't meet our current availability criteria for the United States. Submitted by Peter Houtman (not verified) on Feb. 28, 2017. I have Yamaha dbr10 and it is brilliant. 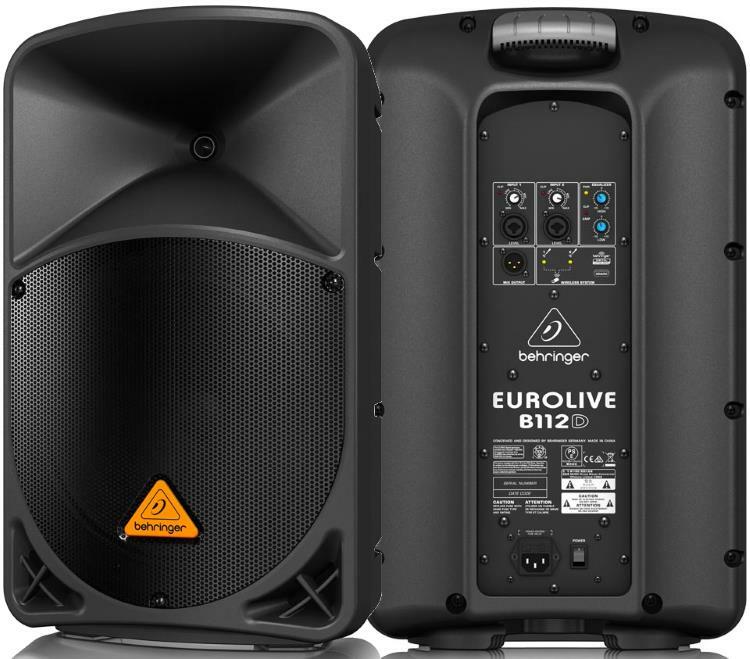 But looking at behringer b112d, and not too concerned about quality of sound, don't really know how much potential loudness would suffer (quoted EPL only 113db, much lower than the others on the list). Submitted by Marco Time (not verified) on Apr. 7, 2017. You missed all the Cerwin Vega models. In particular, the CVA-28, the CV P1000X and CV P1500X. I also agree with the other posts, you did not even consider JBL and they have the best Mids and Highs, plus value. The systems you mentioned were considered, they just didn't rate highly enough to make our recommended list. 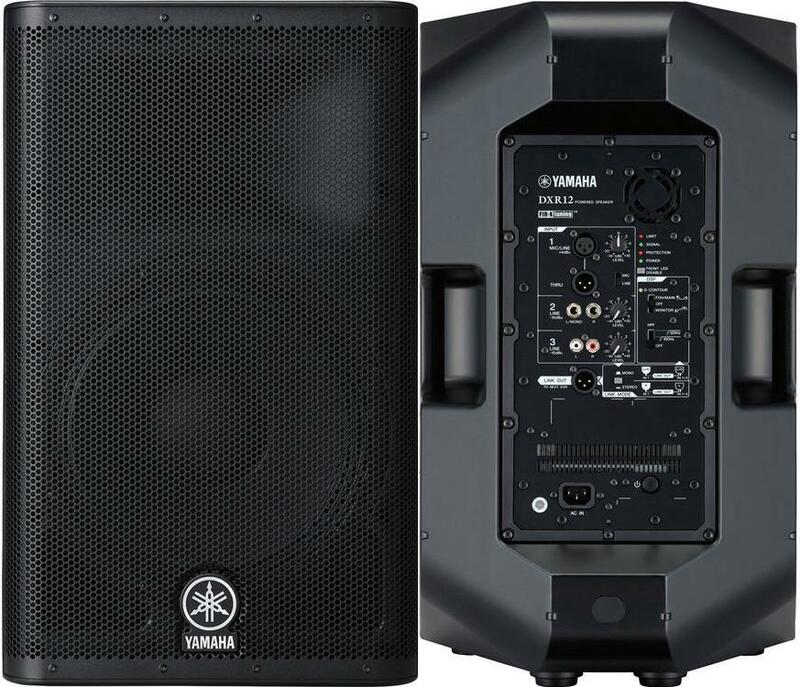 You can click here for the JBL and Cerwin Vega speakers, along with their Gearank scores, that made it to our short-list in the Music Gear Database. Submitted by Mark (not verified) on Jul. 30, 2017. What constitutes small-medium size venues in these reviews? Submitted by Alexander Briones on Jul. 30, 2017. With so many factors to consider, there's really no set standard for determining specific size category. These factors include actual venue size, audience headcount, open air or enclosed, environmental noise, venue acoustics and many more. But to answer your question, most will agree that small venues include coffee shops, bars, small restaurants and conference rooms. On the other hand, medium sized venues include enclosed auditoriums, churches, small gardens, and other venues that have a head count of less than 500. Submitted by Jason Horton on Dec. 11, 2017. Submitted by Dj Salsomano G (not verified) on Jan. 5, 2018. So in conclusion which ones are better for a 400 ppl venue. 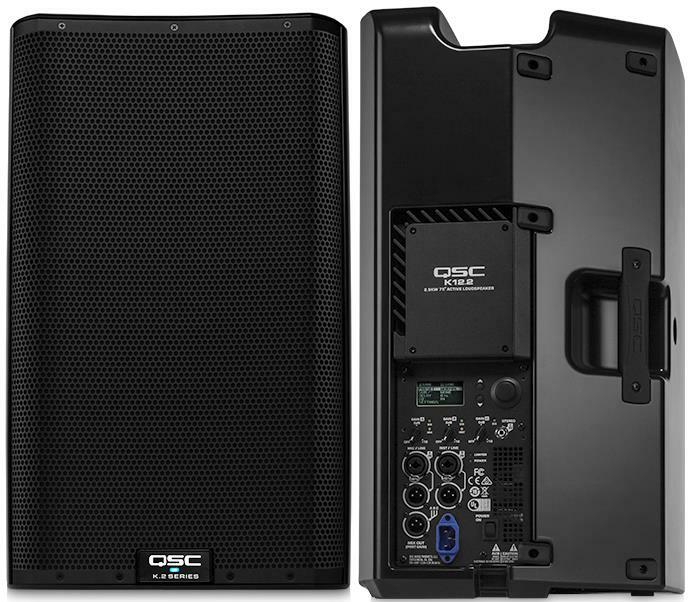 The Bose F1 or the QSC 12K2 or the RCF evox 12? Submitted by Jason Horton on Apr. 26, 2018. A pair of any of those aught to be fine however I think you'd get the best value out of the QSC K12.2 based on all the research we've done. Submitted by Kerwin (not verified) on Apr. 24, 2018. I have some real nice powered speakers but am not seeing the samson brand is that not good in ratings? Submitted by Jason Horton on Apr. 25, 2018. Samson are a good brand for many things however they haven't yet had high enough ratings to make it onto our short-lists for powered speakers although their Auro X15D is a candidate that might make it onto our recommended list at the next update of this guide. BTW you can look up all Samson products we've rated by going to the Music Gear Database. Submitted by Gator (not verified) on Jun. 21, 2018. I was hoping to see something about the Peavey RBN-112's with the ribbon tweeters. I did not find them in the database either, just the Dark Matter 112. Does anyone have experience with these? Submitted by Jason Horton on Jun. 25, 2018. The Peavey RBN 112 has never made it onto our short-list for this guide over several major updates, mainly due to a lack of popularity rather than its ratings, however I've published our rating of it today for all to see: Peavey RBN 112. Submitted by joe (not verified) on Oct. 17, 2018. The negative comments about JBL are hilarious. The 5" and 8" series are widely regarded among the best if not the best in their class. Speaking of which, why aren't 5" speakers included here?